In a previous post, I complained about SM Payment Center because of their collection of 5-peso transaction fee when I paid my Pag-IBIG housing loan. Well, I just discovered that MERALCO’s Bayad Center is much worse! The teller asked me to pay a whopping 7 pesos transaction fee when I paid my Pag-IBIG housing loan last night. I asked the teller to return the bill for my Pag-IBIG housing loan. The lady answered, “bakit po?” Nagkahiyaan na. So I just continued paying the housing loan at that Bayad Center with a heavy heart. I felt that I was robbed again and this is much worse. You may be laughing My Dear Reader because I cried a bucket of tears just because of 7 pesos. “What a terrible miser”, you might be saying now. Sorry but 7 pesos is a big amount of money to me because I worked hard to earn that money. Well, at least I know now that I should avoid Bayad Center like the plague. As you can see, Metrobank and LBC are the best payment centers for Pag-IBIG housing loans. 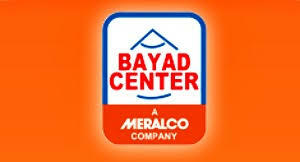 Bayad Center must be avoided and boycotted to show to MERALCO that we do not tolerate their expensive transaction fee.